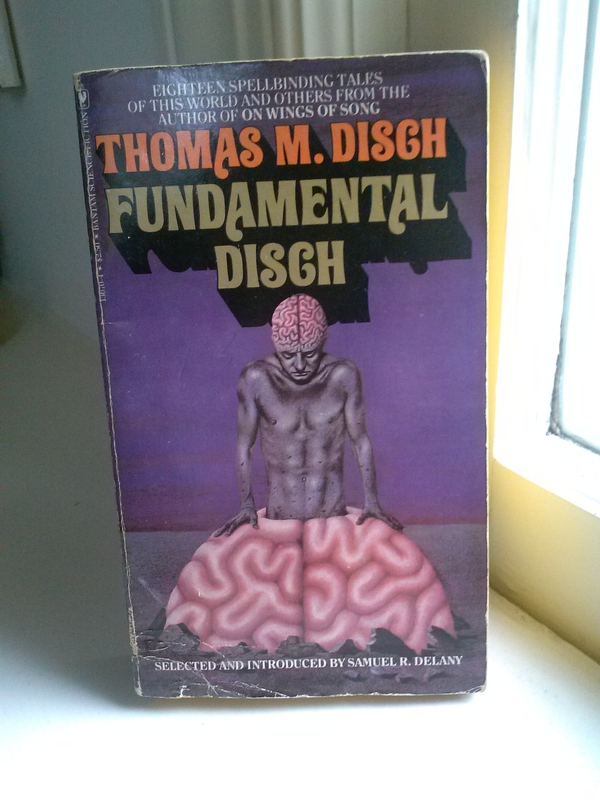 I’m not familiar with Thomas Disch, i guess I should be! 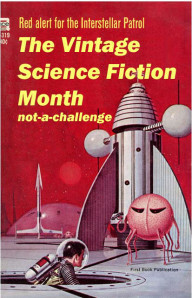 (or I could bribe you to write a guest post on him for next year’s Vintage month?) 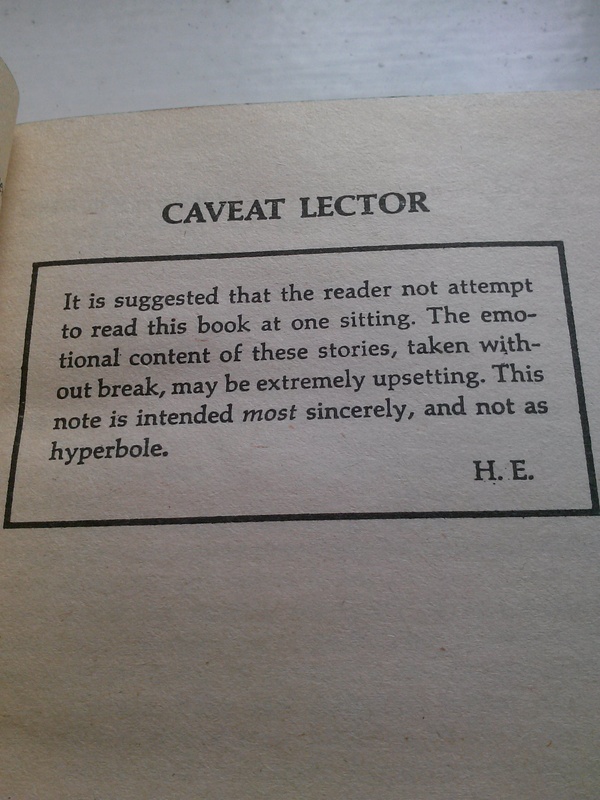 Silverberg’s Dying Inside is incredible, and that warning at the beginning of the Ellison is really creepy! If I worked or lived lose to Singularity and Co, I’d never have money left for rent! Luckily I’m within a stones throw of John King Books in downtown Detroit every so often, and they have a great scifi section, mostly older books. I was told that Disch is a master stylist and well worth reading. Going to give this one a try and if it’s any good, sign me up for next year! I had a similar experience with Foreigner years back and only recently considered giving Cherryh another try. I think I just picked the wrong series, so I’ll be picking up Downbelow Station one day soon. 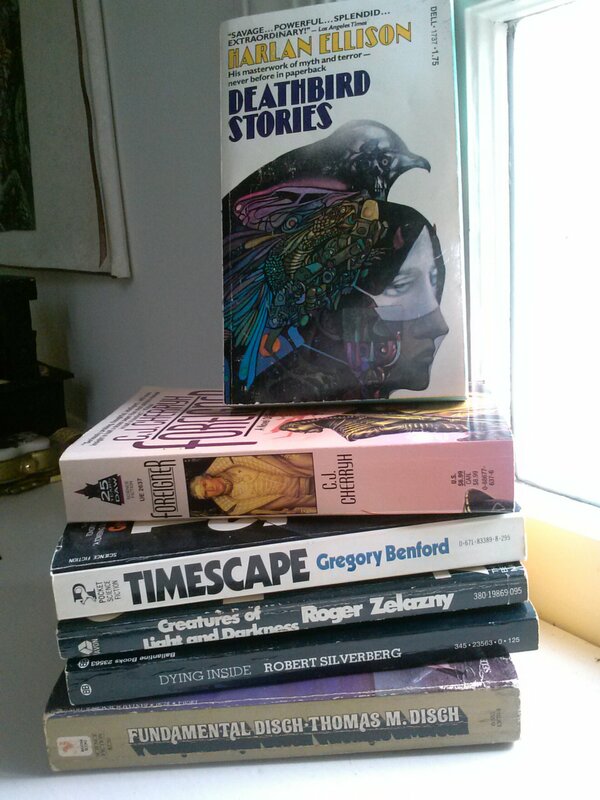 Among Others also introduced me to Zelazny and Le Guin. Among Others made my TBR pile grow exponentially. Such a good book! Among Others was our bookgroup pick this month, which was meta to a second degree (it being both about books and a bookgroup). Deathbird Stories looks incredible. How can you say no to that cover and note to readers?